Thank sweet baby Jesus you found a rug! I know you guys have been wanting one for that space forever. It looks great and I love the colors! I was however picturing something that ran the width of the room. What's the plan for the desk area? Will you be rugging there too? It's all really coming together! I was so impressed this weekend with how much you guys have done! Not sure I understand this Wacom Tablet thing, but I like it. Look forward to seeing it in action. Jeff and I have been stuck in a bit of a restaurant rut lately. Like a lot of people, when we go out to eat, we typically just stay in our neighborhood and go somewhere within walking distance. I love living near so many great and varied restaurants, but it can be a bit of a curse as far as trying new places in town. On Monday, Natalie, who along with her husband Wes are two of our favorite people, was in town and treated me and Jeff to a lovely meal. When asked where we wanted to go, Jeff and I both replied "Get us out of Cleveland Park!" 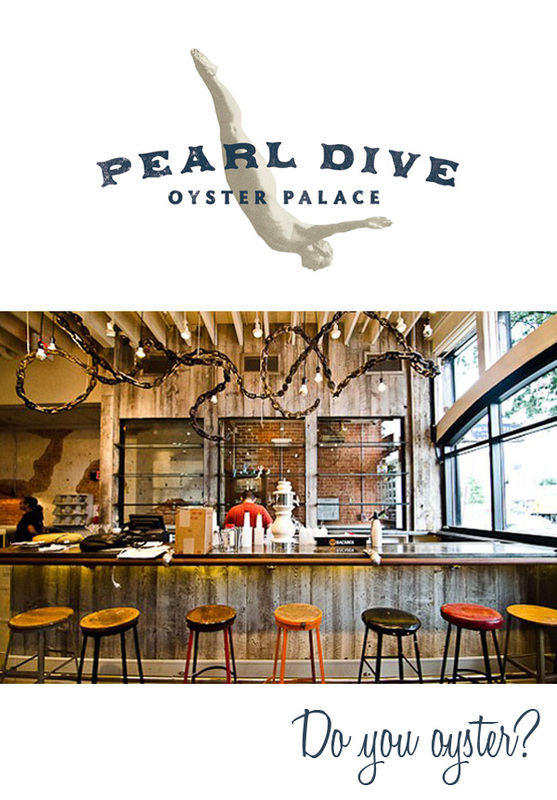 We ended up at a new place on 14th Street (we're so hip) called Pearl Dive Oyster Palace. I always prefer to eat in palaces, so this seemed like it would be a good fit. The ole' PDOP did not disappoint. 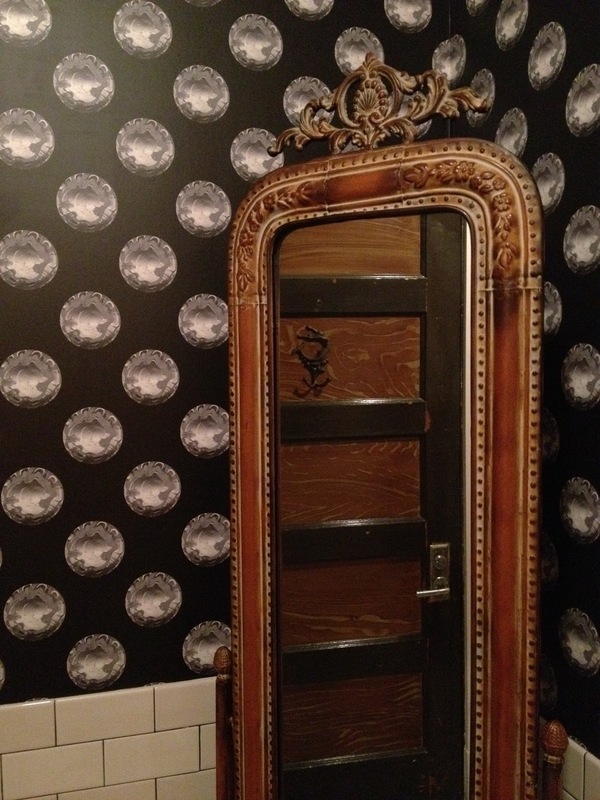 The ambiance was awesome (if a little loud, I'm like an old lady) and the food was terrific. 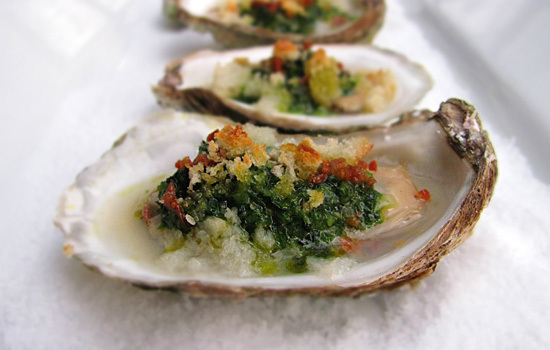 I tried Oysters Rockefeller and didn't love it. I want to like oysters, I think they're so chic. I also want to like martinis and be good at pool. But alas, I'm just not that girl. Jeff loved his crawfish etouffee (so fancy), my shrimp gumbo was delish and Natalie had the redfish on grits which was amazing! We also ordered the non-sanctioned derby pie which was perfect! I think we'll definitely be back and maybe Jeff and I can finally add a non-CP restaurant into our rotation! PS... Here's the Washington Post review... because let's be honest. What do I know. PPS... I liked the bathroom decor so much, I went back with my camera to take a picture! Turns out I am THAT girl! Love this place! Did you go to Black Jack upstairs? It is really fun! No, of course, I didn't even know about Black Jack until I was reading the reviews later. Must try!